Most homeowners are familiar with security systems that help prevent break-ins and robberies. But did you know that there are also security systems that can protect you and your family from a variety of other dangers as well? Specifically, there are security systems offered by NYCONN Security Systems that are designed to do environmental monitoring, which means they can detect early indications of flooding, temperature changes and more inside of your home. It’s an excellent option for those who want complete coverage of their home, and it could save you thousands of dollars and months of expensive repairs in the future. The environmental detection devices offered by NYCONN Security Systems are built to detect water leaks, high humidity levels, low temperatures, power failures and other environmental changes that could signal problems in your home. 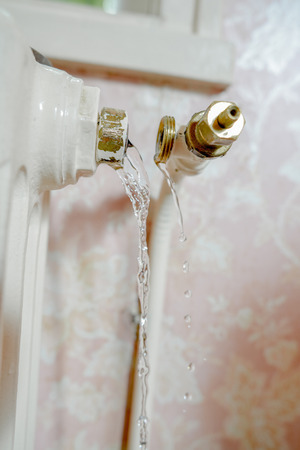 For example, if the heat stops working in a room of your home and leads to very low temperatures, it could cause pipes in your home to freeze. This can cause a burst pipe, causing severe flooding and damage to your home’s walls and floors, not to mention your personal items. But with a low-temperature freeze alert device, you will be notified of falling temperatures in your home immediately, giving you the time you need to place space heaters or repair the heating problem to prevent pipes from freezing in the first place. Our team also can install the WaterCop system, an automatic shut-off for your home water valves that can choke off the flow of water in case of a burst pipe. Paired with water detection devices, at the first sign of an issue, this device will cut off the flow of water and prevent a bad problem from becoming a serious flooding and water damage issue. It’s such a great way to protect your home and your belongings 24/7, no matter if you’re home or not. Don’t wait until it’s too late to invest in a home monitoring system that will truly make you feel safe. While security systems that monitor break-ins and burglaries are great, there are threats that can come from inside your home that can be just as devastating – or worse. Stop water damage, flooding, burst pipes and more by using these inexpensive and convenient environmental detection sensors from NYCONN Security Systems. Learn more about the range of devices we carry and their capabilities by calling us today at 800-783-5004.